The virtual classroom has evolved, and expectations for quality are higher than ever. Some organizations have been teaching and learning this way for over a decade, and are ready to bring their virtual learning design and delivery to the next level to ensure virtual delivery is meeting, and potentially exceeding, the traditional classroom experience. After your organization has implemented specialized techniques in support of virtual instructional design and virtual facilitation, what do designers and facilitators need to become masters at their crafts? 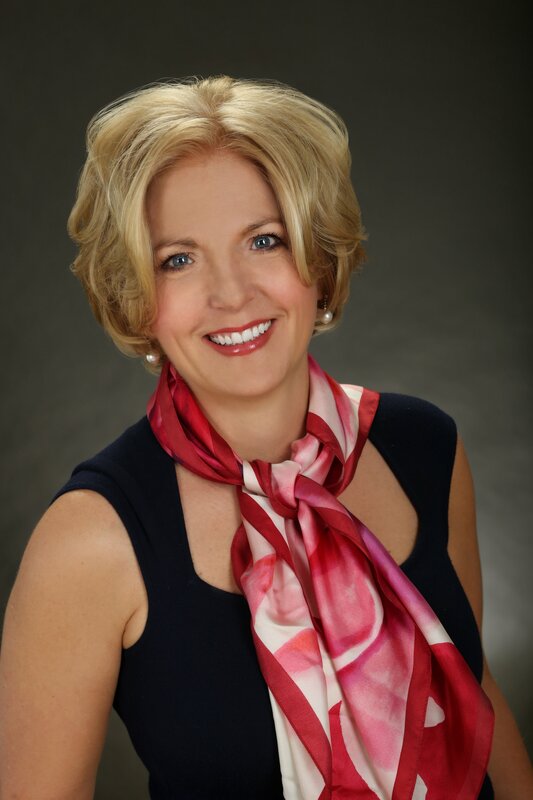 Trends in business and training include globalization, mobility, and social networking. By establishing a foundation of knowledge and skills in these areas, training professionals can get ahead of the trends and create core practices in their organizations. Globalization, new learning technologies and dispersed workforces have provided us with a much more diverse learner base than ever before. Naturally, the virtual classroom paves the way for working with these global audiences more easily. How are you adapting to respond to these changes in your classroom? In order to answer these questions, training professionals need to recognize the influence that culture plays in the classroom - especially classrooms that have three or even more cultures represented at the same time. Reading the body language in the multicultural bandwidth becomes critical to learning success. Managing class dynamics, communication issues, and cultural differences is an advanced facilitation skill, supported by informed design. Creating a true global virtual classroom does not just happen - it takes planning, training, and understanding from all members of the training delivery team. And understanding from the learners: this is new to all of us, and we can all learn from each other. When virtual classrooms were first introduced, the tendency was to migrate existing face-to-face content directly to the virtual classroom, without thought to redesigning to take advantage of this new delivery medium. And, if truth be told, without thought to the disadvantages of the virtual classroom. Just get the content out there. In this brave new world of mobile technologies and BYOD, we are facing similar challenges. In the rush to deploy content quickly and make it accessible from whereever the learners are, we aren't giving thought to what should be taught and how it should be delivered. To be successful, savvy designers need to take advantage of the mobile virtual classroom technologies and avoid design catastrophes, facilitators need the ability to deliver to a mobile audience, and managers need to understand how mobile learning fits in the larger learning context. Organizations are beginning to rely on learning resources outside of classroom training 'events.' In today’s hyper-networked virtual workplace, it is only natural to begin “thinking outside the classroom,” -- virtual or otherwise! Social media provides rich resources for informal learning outside of the classroom as well as supplemental learning within the classroom. Both timely and collaborative, social media outlets provide you with the power to make sure learning occurs during your events and continues afterwards. It can be used to build community and continue the learning conversation started in the classroom or it can be used as a stand-alone “just in time” set of resources for instant gratification education -- or anything in between. 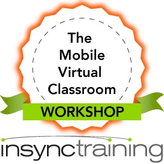 Interested in learning more about how to make your virtual classroom global, mobile and social? 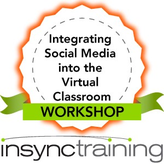 Click on the graphics below to read more about our exciting new workshops - The Global Virtual Classroom Workshop, The Mobile Virtual Classroom Workshop, and Integrating Social Media into the Virtual Classroom Workshop.